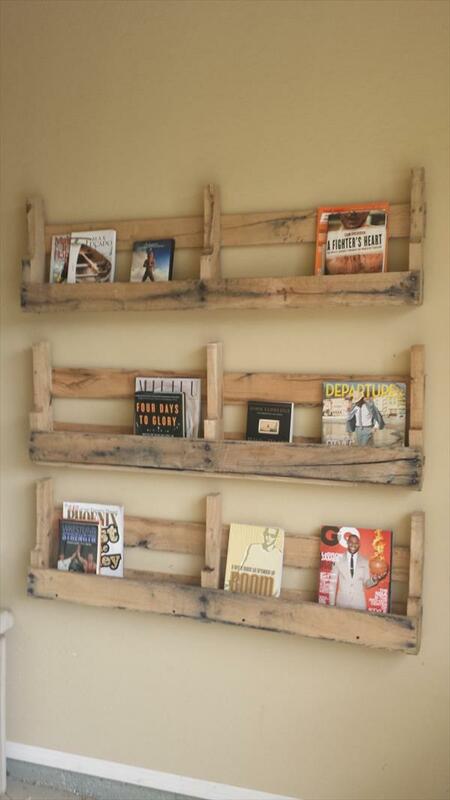 These pallet shelves are of pure rustic nature and have been made out of recycled pallet. This is very innovative idea, to get quick and super fast pallet wall shelves. These pallet shelves can be use as showcase for living room decorative accessories, for reading book storage and many other ornament based plans out of each.